How is a GJCS Case Study Unique? The purpose of the Global Jesuit Case Series (GJCS) platform is to contribute to management and leadership education -- at all levels -- via distinctive case studies. Cases hosted on this platform will encourage conversations based on the traditional Jesuit values of proactive reflection and thoughtful action. 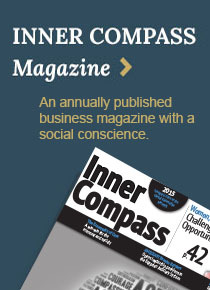 Illustrate how a more inclusive stakeholder approach might emphasize the sustainability of our people, our planet and company profits as necessitating each other—reinforcing in this way the link between healthy, prospering businesses and healthy, prospering communities. At its core the GJCS aims to foster the development of leaders at all levels who will serve as a transformational force in the world. 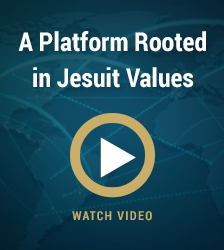 Eligible cases may be related to any topic in any organizational setting, but should be in line with this balanced emphasis on both reflection and action, and consistent with some of the key foundational values of the Jesuit educational network. Fostering Principled Conversation: The case should be written in ways that facilitate substantive conversation about topics, and decisions. The problems or opportunities to be defined, and decisions to made, must have viable options worthy of discussion and discernment. Innovative, Memorable, and Meaningful: Case characters, situations, and learning objectives should not be predictable derivatives of other cases; and the cases should be written in such a way that the characters, situations and the key learning lessons are memorable for most readers. Ignatian Pedagogical Paradigm: Because both the habit of proactive reflection and the habit of thoughtful action are central to the Ignatian Pedagogical Paradigm, as well as a to a Jesuit prescription for a life lived-well, a representative case in the GJCS series needs to provide a platform for class discussion of the options for both reflection and action. A Clear Decision Making Focus: The case (and/or the teaching note) should have an explicit decision-making focus, which includes identification and framing of the problem or opportunity. Length: The case should be single spaced, with a 12-point font, the preferred case length is 8 to 12 pages for the main text (not including exhibits which should be placed at the end). However, longer and shorter cases will also be considered. Comprehensive Teaching Note: It is a requirement that all cases submitted to the formal “Peer Reviewed” portion of the GJCS contain a well-articulated teaching note. Teaching notes should include: a case summary, target course(s), learning objectives, suggested student assignments, recommended teaching approaches, case discussion questions and expected answers, a proposed session plan, a blackboard plan, a case epilogue if available, and if applicable, research methods and theoretical linkages. While encouraged, this guideline is optional for cases submitted to the informal “Reading Room” portion of the GJCS. Organizational Release/Transparency: If based on private or proprietary organizational information, case authors must provide a letter of authorization signed by the company featured in their case. In addition, authorship, affiliations, conflicts of interest, and information sources must be transparent in the submitted case documents. Copyright: Once a case study is accepted for publication, the copyright will be transferred to GJCS. Should the GJCS charge royalty fees for publication rights, such fees will be shared with the case authors in accordance to the terms established by GJCS Advisory and Editorial Boards. Authors will be free to use their own cases in their courses. Case Submission and Review Policy: Any individual may submit a case providing it is aligned with the mission of the GJCS and these guidelines. When submitting authors have two options: (a) they can request that their case be considered for the “Reading Room” portion of the GJCS where it will receive a basic editorial review, or (b) they can request that their case be considered for the “Peer Reviewed” portion of the GJCS where it will receive a double blind peer review. The review of a “Reading Room” will be complete in two weeks, and the review of a “Peer Reviewed” within two months. Desk Rejection: The GJCS is committed to the development of a global case writing community. However, the editor reserves the right for the editor to “desk reject” a case without additional review. Should that happen the editor must provide feedback in a respectful tone to the author as to why the case was desk rejected. Cases will only be desk rejected if they fail to demonstrate compliance with good writing skills and/or content guidelines.